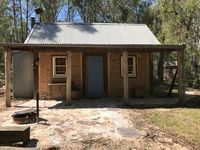 Super cute little Bush rangers cottage. In beautiful surrounds. A really lovely and relaxing weekend getaway.